What was your first deck? How did you get it? Immersed in lesson one of Tali Goodwin’s ‘Learning Lenormand‘ course (for beginners) I felt a bit stumped as I knew I didn’t yet own a single Lenormand deck. All my decks were tarot, a completely different form of cartomancy. Then I remembered that my husband had inherited a bunch of documents and a few foreign-looking decks from his father, years before. I decided to go through them, not really expecting to find what I was hoping to. Amongst his many dusty documents and papery-belongings I discovered a perfectly preserved little deck of cards,‘Mlle Lenormand Fortune Telling Playing Cards – No. 12274.’ I was ecstatic! It was exactly what I needed! A 1970’s Blue Owl Lenormand deck, with gilded corners. The strange thing is I had seen the deck, many times before, amongst my late father-in-law’s belongings, but never knew what they were and never took any notice of them until then. As I held this petite deck in my hands I just knew that I had uncovered a great treasure, one that was hidden in plain sight! 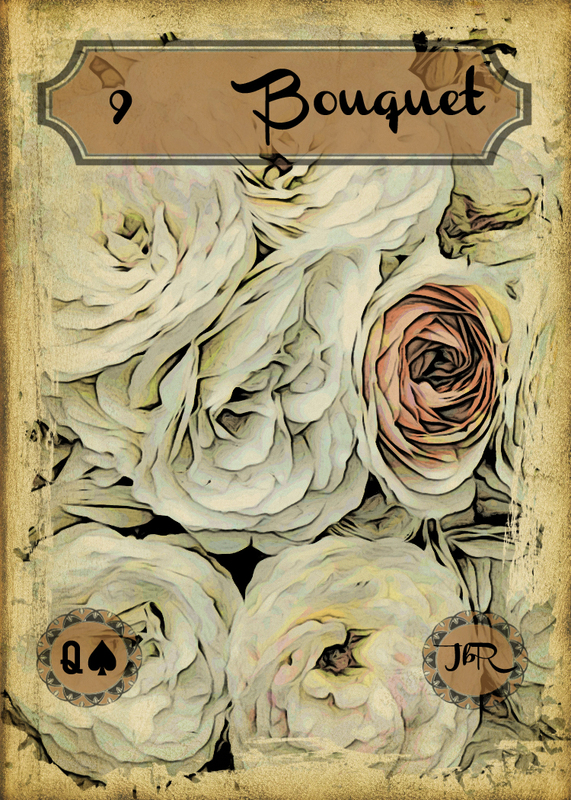 The featured image is from my available deck, the Vintage Lenormand.